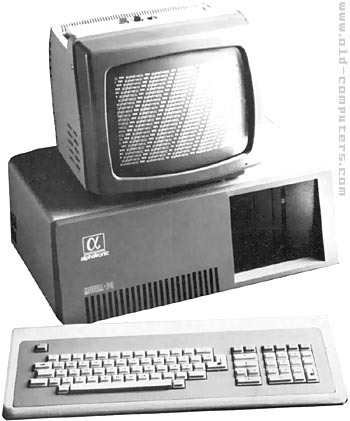 These two computers (P3 and P4) are professional systems conceived by Triumph-Adler. There are based on 8085A CPU and have 64k RAM. They used the MOS operating system but are also CP/M compatible. There were delivered with CP/M, UCSD-P System and Holland Automation on disks. The difference between the two models is that the P3 is equiped with two 5''1/4 (785 kb formated) floppy-drives, whereas the P4 has one floppy and one hard-disk (5 Mb). see more Triumph Adler Alphatronic PC models P3 / P4 Ebay auctions !